I have just received the first exciting details of an event not to be missed by any trombonist on the Island taking place in November 2012! The brainchild of Jacqueline Morrey, herself an accomplished trombonist and well-respected music therapist; Jackie is organising a visit to the island of the award winning Black Dyke Trombone Quartet (pictured left), which consists of: Brett Baker (Principal Trombone), Paul Woodward (Co-Principal Trombone), Garry Reed (2nd Trombone) and Adrian Hirst (Bass Trombone). In addition to their hectic schedule as members of the famous Black Dyke Band they find time to appear all over the country promoting new works for trombone, giving performances and masterclasses. The November event will take place in the Peel Centenary Centre. as part of weekend of events entitled 'The Great Big Fat Manx Trombone Festival'. There will be also be a Yoga masterclass focusing on breathing and posture. More comprehensive details about the event will follow in the new year. This promises to be an event not to be missed! In the last few days Sheean Prash's first engagement of 2012 has been confirmed. After a very successful performance at the Strand Shopping Centre earlier in the December the quintet have been invited to perform a Saturday afternoon concert in the Strand on Saturday 11th February 2012 starting at 2.00pm in aid of the Alzheimer's Society (Isle of Man Branch). Click here to read more about the fundraising efforts of the Alzheimer's Society here on the Island. Further details about the concert will follow shortly. 5th December 2011 The Christmas Rush Begins! Last week proved to be a busy time for Sheean Prash with them performing three times in the same week! On Thursday a quartet of members performed at the Strand Shopping Centre for shoppers visiting Crossroads Christmas Market who were able to enjoy a glass of mulled wine and a mince pie. To view a video taken at the Strand Shopping Centre click here. Then on both Friday and Saturday four Sheean Prash members entertained customers at the Mailbox Lounge, Bar and Grill. The quintet will be back at The Mailbox again on Friday 16th December but before that they have the Tynwald Carol Service! To check out the quintet's full list of engagements click here. Sheean Prash members Chris Weeks (French horn) and Juan Wright (Trombone) were among the brass section of the Isle of Man Symphony Orchestra last Sunday afternoon for their Family Concert at the Villa Marina. The programme featured the brass section to full effect in such numbers as Raiders March from the Indiana Jones film Raiders of the Lost Ark and The Empires Strikes Back from the famous Star Wars Films. The performance was enhanced on the afternoon by the appearance of two storm troopers and Darth Vader himself! Courtesy of the Manx Troopers. Interspersed between these items Ramsey Town Band cornetist Illiam Quane featured in an arrangement of Eric Spear’s well-known theme music from the Coronation Street television series. Another highlight was Charles Guard's narration of the orchestra’s performance of Prokofiev’s musical fairy tale Peter and the Wolf. Other musical items included in the concert included the Peer Gynt Suite by Edvard Grieg showcasing Ballet dancers from The Academy of Dance. With the large audience back in their seats, the second half opened with the triumphant Great Gate of Kiev from Modest Mussorgsky’s Pictures at an Exhibition. Also in the second half was a swashbuckling selection of music from the Pirates of the Caribbean – which proved a real hit with the young audience. To conclude the concert, the orchestra gave a rousing performance of Edward Elgar’s Pomp & Circumstance March No. 1, which after a second encore closed a wonderful afternoon of music for all tastes. Several more dates have now been confirmed and added to the Diary page of the Sheean Prash website. 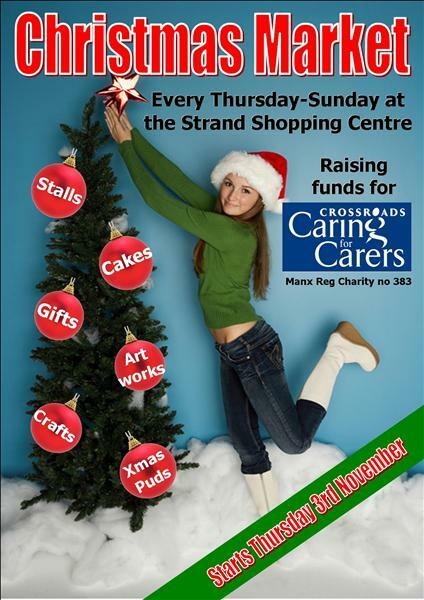 These include a performance at the Strand Shopping Centre on Thursday 1st December from 6.00pm as part of Crossroads Christmas Markets which are taking place throughout November and December. 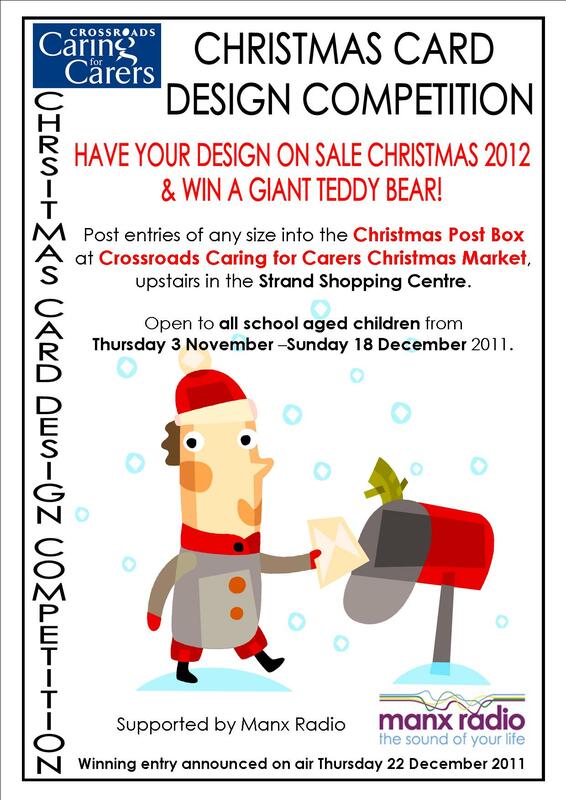 In conjunction with their Christmas Markets, Crossroads are running a Design a Christmas Card Competition. For more details click here. Once again the quintet are performing at the Tynwald Carol Service with organist Mike Porter and a choir directed by Jonathan King. This year's service is being held on Thursday 15th December at St George's Church, Hill Street, Douglas and commences at 1.00pm. Then on Saturday 17th December the quintet will head north to perform Gaudete with Ramsey Choral Society at their Christmas Concert at St. Paul's Church starting at 7.30pm. Further quintet Christmas dates are expected to follow shortly. Two of Sheean Prash’s members Helen Quaggin-Molloy and Juan Wright are among the musicians to have signed up for a nostalgic reunion rehearsal and workshop concert to mark the 40th Anniversary of the Manx Youth Orchestra on Saturday 24th March 2012 at St. Ninian’s High School. Over the years the MYO has seen literally thousands of students progress through its ranks; a number of whom have gone on to study music at university and conservatoire level or continued to play in university or adult groups. The reunion is open to all past MYO members and teachers. To read the full press release on the Isle of Man Music Service website about the 40th Anniversary reunion rehearsal and workshop concert and to download the relevant form to take part in the concert click here. 19th October 2011 Blooming Marvellous - the season of goodwill comes early! Sheean Prash recently performed at Eden Park Garden & Lifestyle Centre as part of their Christmas Preview Evening in aid of Crossroads Carer’s last night. A considerable number of customers enjoyed festive drinks and nibbles and a browse round the centre whilst entertained to some brass music and later by local choir Manx Voices. Special thanks must go to Jill Collings of Rushen Silver Band who saved the day at the eleventh hour when regular trumpet player Helen Quaggin-Molloy was taken ill.
Last night’s performance sees the end of a busy month for Sheean Prash who in recent weeks have performed a sing-along concert at the Philip Christian Centre in Peel for the town’s pensioners and at Malew Church on the occasion of the induction of new parish vicar Paul Motherwell. Confirmed Christmas events so far include their now annual appearance at the Tynwald Carol Service to be held this year at St. George’s Church in Douglas on Thursday 15th December 2011 starting at 1.00pm. Other Christmas engagements will appear on the diary page shortly. Visit the gallery page to check out the photos from the evening. Sheean Prash members Chris Weeks and Helen Quaggin-Molloy are among the 200 strong choir who will sing in a performance of Mozart's Requiem tonight at the Villa Marina tonight in a concert celebrating the life of Alan Pickard, under the baton of Isle of Man Choral Society Conductor Julian Power. Sheean Prash trombonist Juan Wright is also taking part performing the famous Tuba Mirum trombone solo with the Isle of Man Symphony Orchestra and soloists: Christine Teare, Adrienne Murray, Ernest Thorn and Allan Willcocks. Other performers in the concert include the talented choir Manx Voices who are in fine voice following their performances in last weekend's choir festival. Tom Pickard is to perform a violin solo accompanied by pianist Judith Christian and he will sing a duet with twin sister Jane of The Lord Bless You and Keep You by John Rutter. This promises to be a very special evening in celebration of Alan Pickard a man who inspired so many in so many ways. To hear conductor Julian Power talking about the concert click here. A limited number of tickets are still available for tonight's concert from the Villa Gaiety Box Office. Sheean Prash are delighted to have been invited to perform at the induction of the new Vicar of Malew at Malew Parish Church on Thursday 6th October starting at 7.30pm. Sheean Prash will perform a fanfare as part of the induction ceremony and accompanying the congregational hymns during the service along with organist Gareth Moore. Sheean Prash are very grateful to guest trumpet players Matt Callister and Jill Collings both of the Rushen Silver Band for helping out at the quintet's recent concert at St. Catherine's Church in Port Erin. They deputised fantastically, especially given that rehearsal time was extremely limited. Thanks must also go to guest compere Ian Cottier who kept the audience informed and entertained throughout the concert. Details of upcoming quintet events will follow shortly. The quintet would also like to put on record their thanks to Port Erin Commissioner's and to the Vicar and Church wardens of St. Catherine's for the opportunity to perform in such a wonderful setting. The final programme of the quintet's forthcoming concert at St. Catherine's Church in Port Erin has been released. The concert will be compered by Manx Radio's Time for Brass presenter Ian Cottier and promises a variety of music arranged for brass quintet including the premiere performance of a new arrangement of Summertime from Porgy & Bess. To view the details of the full programme click here. Sheean Prash are very grateful to both Matt Callister and Jill Collings of the Rushen Silver Band for agreeing to help out the quintet for their next concert later this month, while regular trumpet players Helen Quaggin-Molloy and Julie Harrison are both away on their holidays. The concert is on Wednesday 31st August starting at 8.00pm at St. Catherine's Church, Port Erin as part of the Commissioners' Summer Concert Series. We are delighted to confirm that guest compere for the evening is Manx Radio's Time for Brass Presenter: Ian Cottier. Special thanks must also go to Sheean Prash's French horn player Chris Weeks who has very kindly rearranged his return journey from his holiday in order that he can make the concert. Since the group’s formation in September 2004 the Sheean Prash Music Library now stands at over 500 items! The collection is comprised of a diverse range of repertoire that includes popular classics and modern favourites along with a number of special arranged or transcribed items for the quintet. Whatever your musical taste or event there promises to be something for everyone! If you have a piece you would like to hear at one of our forthcoming events why not send us an email with your request. Sheean Prash Trombonist Juan Wright and well-known local singer Geoff Collier are to be featured in the third concert in a series of concerts coordinated by Jonathan King to showcase the Wurlitzer organ located in the newly refurbished Villa Arcade. The concert is taking place on Monday 8th August at the Villa Arcade, Douglas beginning at 8.00pm. Admission is free and the evening promises to be both a great opportunity to hear the Wurlitzer organ and a wonderful variety of music including: The Liberty Bell by John Philip Sousa, The Floral Dance by Katie Moss and Nessun Dorma (from Turandot) by Giacomo Puccini. To read more about the Wurlitzer Concert Series click here. At the invitation of Crossroads Caring for Carers (Isle of Man) Sheean Prash along with local choir Manx Voices are to perform at Eden Park Garden & Lifestyle Centre on Wednesday 19th October from 6.15pm onwards. The evening is Eden Park's first late night shopping night of the year and there will be refreshments served. To view the concert flyer click here. Download your free invitation and Xmas giveaway entry form here. As a result of their recent performance at All Saints Church, Sheean Prash are delighted to announce that they have been invited to perform a concert for the Pensioners of Peel at the Philip Christian Centre, Derby Road, Peel on Wednesday 5th October 2011. The concert will commence at 7.45pm and refreshments will be served afterwards. Details of the concert programme with follow in due course. 30th June 2011 Saints Alive! All Saints Church was the venue for a wonderfully varied musical concert entitled 'Music for a Summer Evening' given by the Isle of Man Wind Orchestra, the Lon Dhoo Male Voice Choir and Sheean Prash. The evening was organised to raise funds for All Saints Church and opened with the Lon Dhoo Voice Choir under the direction of Wendy McDowell who sang a variety of items that included a rousing hymn of praise. They passed on to brass quintet Sheean Prash who performed some of the highlights from their programme of American music. This included John Williams' Olympic Fanfare and Theme and Irving Berlin's There's No Business Like Showbusiness. The quintet handed back to the Lon Dhoo Male Voice Choir who performed another medley of items that included an arrangement of 'Alexander's Ragtime Band' and 'An American Trilogy'. To close the first half of the concert it was back to Sheean Prash, who began with John Phlip Sousa's March 'The Washington Post' taking us on a further road trip of America including a visit to New Orleans for a rendition of the dixieland classic 'Basin Street Blues' finished their set with John Kander's classic New York, New York. After an interval and some refreshments, the Isle of Man Wind Orchestra took to the stage to perform a programme of Film Music under the baton of their talented Musical Director: Paul Dunderdale. Their programme included a selection from 'The Pirates of the Caribbean' and an arrangement of music from 'Hairspray'. Sheean Prash are very grateful to impromptu compere and trumpet player Matthew Callister who assisted them on the evening. On behalf of all the musical groups who took part, a big thank you must go to the concert organiser Cath Cringle for liaising with all the musical groups and giving them the opportunity to perform in such a fabulous venue. Sheean Prash’s opened this year’s summer concert series at St. Thomas’ Parish Church last Wednesday with a summer concert of American music. The programme was well received by a small but appreciative audience. John Cashen charismatically compered the concert keeping the audience enlightened and giving the quintet momentary time to catch their breath between pieces! After a welcome from organist Hilary Sewell, Sheean Prash began their programme of American programme with the instantly recognisable ‘The Star Spangled Banner’ This was the first occasion that Sheean Prash had used their new stand banners and this was brought to the attention of the audience. To continue the quintet turned to the music of John Williams, who is probably best known for writing the film scores of blockbusters such as Indiana Jones, Jaws and Star Wars; but he is also known for composing the Olympic Fanfare and Theme for the Los Angeles Olympic Games of 1984 and this was the piece the group chose to perform next. To read more click here. Sheean Prash have just finalised their programme of American music that they will perform at their two forthcoming concerts at St German's Cathedral on Tuesday 7th June and at St. Thomas' Parish Church on Wednesday 15th June. The programme of music will include performances of the following: Someone to watch over me by George Gershwin, Moon River by Henry Mancini, There's no business like showbusiness by Irving Berlin and the Washington Post by American March King John Philip Sousa. The programme will also incorporate a number of newly arranged pieces for brass quintet and feature both Julie Harrison and Juan Wright as soloists. For more information about either concert visit the diary page. 12th May 2011 Sheean Prash top the bill! Brass quintet Sheean Prash are to open this year’s Summer Concert Series at St. Thomas’ Parish Church in Douglas. Following a successful debut at last year's Summer Concert Series, Sheean Prash have been invited to open this year’s concert series on Wednesday 15th June 2011 starting at 7.45pm. Sheean Prash’s programme of music will have an American theme including items by George Gershwin, Henry Mancini and American March King John Philip Sousa; along with a couple of new arrangements for brass quintet. Guest compere for the evening is John Cashen OBE and during the concert, the church’s organist Hillary Sewell will perform a musical interlude on the church’s organ. Admission to the concert is free including refreshments with a retiring collection in aid of church funds. Why not come along to the concert in the tranquil ambience of St Thomas’ Church and enjoy an evening of brass music. Details of the full concert programme will be released nearer the time. Click here to view a concert series flyer. In early March the quintet took delivery of their new stand banners (supplied by Torr Banners). The first opportunity for audiences to see the stand banners will be at Sheean Prash’s next engagement on Tuesday 7th June at St. German’s Cathedral in Peel, starting at 7.45pm. The concert will have a theme of American Music including music by Gershwin, Mancini and Sousa. Guest compere for the evening is Three FM’s Kevin Ford.